Display your K-State Wildcats spirit in this K-State Wildcats Purple T-Shirt! 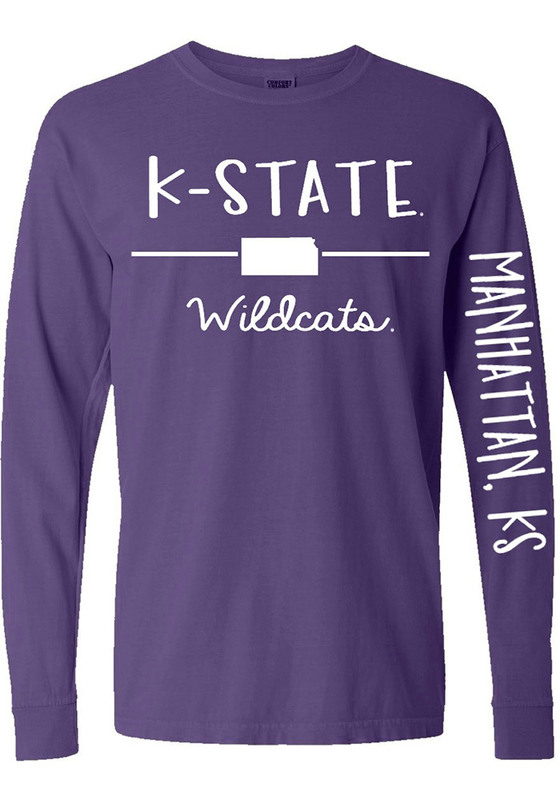 This K-State Wildcats State Long Sleeve T-Shirt makes a great layer for cooler nights cheering on the Wildcats. 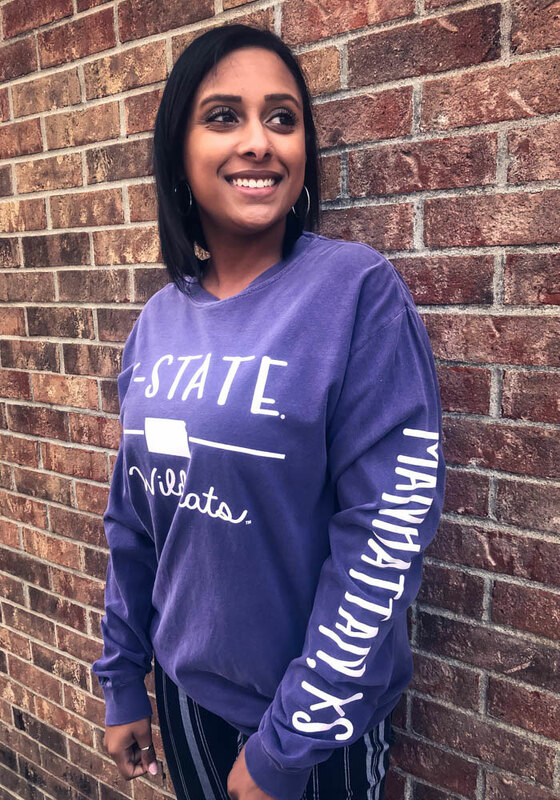 Featuring a screen print team graphic on center front with city hit on sleeve, this K-State Wildcats Long Sleeve LS Tee is a must-have for any fan. Fear The Cats! I love this shirt I wear it all the time, it is true to size and super cute! The reason for the lower score on durability is because the stitching on the Rock Chalk started to come off, but it was easily fixed.